This letter was sent out to myself, Dr. Tammy Wu, and my Modesto Plastic Surgery staff. We had sent out one of the original letters of support for Allergan which was mentioned in this letter. 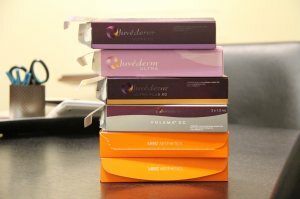 Allergan manufactures and distributes the Botox, Latisse, and Juvederm which we use very often in our Botox practice in Modesto, CA. November 17th, Allergan announced that Actavis will acquire Allergan. Actavis shares the long standing Allergan commitment to innovation. The acquisition will probably close in quarter 2 in 2015. Until then, it is business as usual for Allergan Medical. I would like to take a moment to thank you for supporting Allergan over many years, and in particular, during the last eight months. Many of you sent letters and emails voicing your support for our company and our priorities. It was your voice that provided the fuel and reinforced the importance of maintaining a culture that continues to bring value to patients and customers. As you know, on November 17th, we announced that Allergan has entered into a definitive agreement whereby Actavis will acquire Allergan. I am very pleased with this outcome and excited for the next chapter as Actavis is highly committed to the success of the Aesthetic specialty, and to providing new programs to further support the growth of Aesthetics market and your continued success. Importantly, Actavis also shares the long standing Allergan commitment to innovation, and bringing meaningful new products to market. We expect that the acquisition will close in Q2 2015. Until then, it will remain business as usual for Allergan Medical, with no change to your representative support and continuation of the programs and services that you value, including our Allergan Partner Privileges (APP) program, Brilliant Distinctions, Direct to Consumer Advertising, and Allergan Practice Consulting services. We know you have choices in the market, and always appreciate your choosing Allergan. We look forward to serving you and your patients during the months ahead and as we combine Allergan with Actavis later in 2015. Allergan is the company who makes BOTOX, Latisse, and Juvederm. These are three popular products offered at Surgical Artistry. Latisse is a take-home product, unlike BOTOX and Juvederm which are injected (by Dr. Calvin Lee). Allergan makes many other pharmaceutical products – many of them are for the eye – conditions such as dry eye. How many Billions in sales for Allergan? In 2012, it is estimated that Allergan spent 162 million in advertising. Allergan plans to merge with Actavis. The battle for Allergan started in April 2014 when Valeant made a bid for Allergan. Actavis plans to pay $66 billion for Allergan. Brent Saunders is the CEO and president of Actavis. For more information about Allergan including the CEO’s BLOG. Allergan home page – this is a great place to start learning about Allergan. AllerganViews: The CEO of Allergan has a blog. “Our Pursuit, Life’s Potential.” That is Allergan’s vision, and every day, around the globe, our more than 11,000 employees work to deliver on this vision. David Pyott is the current CEO, as of the writing of this blog which is Dec 10, 2014. Allergan also runs the Brilliant Distinctions program. Click here to log in direction to Brilliant Distinctions. AllerganNetwork: Website to give Brilliant Distinctions points. (need account and password). BOTOX can be used to accentuate the eyes by lessening the wrinkles around the eyes. Two areas of FDA approved usage of Botox around the eyes would be for the Glabellar complex and for the crows feet. What if the eyelashes were accentuated? 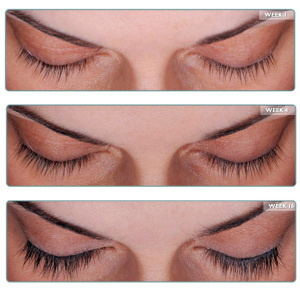 Latisse would make the eyes really stand out beautifully by allowing the lashes to grow longer, thicker and darker. There’s much discussion to Latisse. Consider visting the official Latisse website. Or one of our Modesto Latisse webpages. And there’s more information about us at our Modesto Botox webpage. Picture from Allergan. She is not an actual patient of Surgical Artistry’s. If the eyes are windows to the soul. Eyelashes are some pretty impressive window treatments. Latisse comes in a 3ML or 5ML kit. But Latisse kits are usually not sold at your local Hunter Douglas window covering dealers. You can find them in doctor’s offices, such as ours in Modesto, CA. Please visit our Botox practice in Modesto, California and we’ll show you some of our own personal tips regarding Latisse. Here’s a Video regarding applying Latisse – the video is made by Allergan. Allergan is currently in the process of merging with Actavis. Valeant apparently is no longer in pursuit. Credits and Disclaimers: Latisse picture is not from an actual patient of ours. Please visit your doctor in person for medical advice and for personalized details regarding Latisse and BOTOX. Here’s the letter from Allergan, the makers of our cherished Botox, Juvederm, and Latisse. 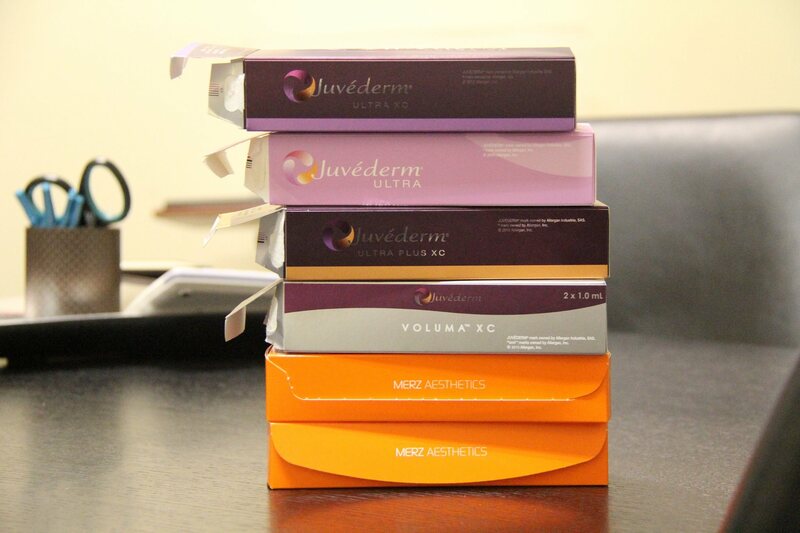 For more information about these products, visit our Modesto Botox and Juvederm page. As announced in a press release earlier this week, we are pleased to share that Actavis and Allergan have entered into a definitive agreement under which Actavis will acquire Allergan in a deal valued at approximately $66 billion. Bringing our two companies together represents a powerful strategic combination, creating a dynamic, top 10 global pharmaceutical company. We anticipate that the acquisition will close in 2Q 2015. Until then, it will be business as usual, with no impact to our operations or the high quality of service that you have come to expect from Allergan. Once the transaction closes, we will notify you of any relevant changes, and it is our goal to minimize any possible impact this could have on you, your patients, and our employees. Like us, the Actavis culture is centered around innovation and customer service, and investment in R&D will remain one of the top priorities of the integrated company. The combined company will offer a broad portfolio of products in Eye Care, CNS/Neurosciences, Medical Aesthetics/Dermatology/Plastic Surgery, Gastroenterology, Women’s Health and Urology and Anti-infective therapeutic categories, as well as the highest quality generic, branded-generic and Over-the-Counter products. The combined company will provide an exceptional level of R&D support, with approximately $1.7 billion invested annually in brands, generics and biopharmaceuticals aimed at delivering high quality products to address unmet patient needs. We want to thank you for your support and to assure you that we remain dedicated to exceeding your expectations and delivering products and services that make a difference to you and your patients. We look forward to sharing more details of our combined products and services in the future. In the meantime, if you have any questions, please contact your sales representative or visit our websites at actavis.com and allergan.com. The Botox company, Allergan, has consented to be bought by generic pharmaceutical maker, Actavis for $219 a share. This gets in the way of the hostile takeover attempts led by Valeant Pharmaceuticals and hedge fund man, Bill Ackerman of Pershing Square Capital Management. But it might be possible for Valeant to out-bid Actavis? 66 Billion? That’s a lot of Botox. According to the sources, this take-over by Actavis, is worth $66 billion. In the past two years, Actavis has purchased Forest Laboratories and Warner Chilcott. Actavis’ CEO is Brent Saunders. He used to run Forest Laboratories. Actavis is headquartered in Dublin, Ireland and has administrative offices in New Jersey. Who are the losers? Nobody? Pershing Square Capital Management owns 9.7% of Allergan shares. Valeant indicated that it may not try to beat Actavis’s offer. Bill Ackerman and Valeant stand to benefit from the increased share price for Allergan; thus they wouldn’t lose either way. This is a win-win-win for the three A’s: Actavis, Allergan, Ackerman. And it also seems to be a win for Valeant who will get 15% of Ackerman’s profits from the price increase in Allergan’s stock (which he owns nearly 10% of Allergan stock). I also think it will be a win for Botox injectors and consumers. Actavis will try to be more efficient with it’s administration of Allergan – with further cost cutting and unification of efforts. And they have pledged to continue to have research and development within the Allergan family of products. And most importantly in the end, I think the consumers (and doctors) will benefit. I feel that the Valeant/Allergan merger (Vallergant – I’ve called it), might have cut too many costs and we’d lose on research/development. Thus the new merger of Allergan and Actvis – there would be a better balance with continued research and developement. So it will be a 6 way win-win-win-win-win-win: Actavis, Allergan, Ackerman, Valeant, doctors/Botox-injectors, and patients. That’s how you do mergers! I certainly hope so. Time will tell, and I hope to be here to talk about it.